Vitamin B-12 is one of the essential B vitamins, and helps maintain the body’s overall health. The B vitamins -- thiamine, riboflavin, niacin, pantothenic acid, B-6, biotin, folic acid and B-12 -- all help with the conversion of energy from the food you eat. Natural sources of these vitamins include fish, meat, eggs and dairy products. The best sources for vitamin B-12 are beef liver, clams and fortified cereals. Most multivitamin dietary supplements contain vitamin B-12, as well. Vitamin B-12 or cyanocobalamin is a water-soluble B vitamin that helps keep the nerves and blood cells healthy. Vitamin B-12 also contributes to the formation of DNA, the genetic material found in every cell of the body. Absorption of vitamin B-12 happens in the stomach; it initially passes through gastric acid and then attaches itself to a protein called intrinsic factor and then gets distributed to the entire body. The recommended daily dose of cyanocobalamin in adults is 2.4 micrograms. Vitamin B-12 is prepared in sublingual form, meaning it is placed and dissolved under the tongue. Sublingual preparations are absorbed faster in the bloodstream compared to oral tablets. When taking sublingual vitamin B-12, the potency of the nutrient is maintained, and becomes readily available. With the sublingual route, vitamin B-12 no longer passes the digestive tract and because of that all the nutrients stay intact. Transdermal vitamin B-12 or patch is a preparation wherein the vitamin enters the bloodstream through the skin. One of the most notable benefits of transdermal preparation is comfort and convenience. The skin has different layers and cells. Not all substances can pass through these layers, especially if they are water-soluble and have large molecules. Vitamin B-12 is soluble in water and has large molecules, making it less ideal when introduced intradermally. Taking vitamin B-12 has not been known to cause any harm, but it has a few drug interactions. Vitamin B-12 can interact with other medications, such as antibiotics, antacids and anti-diabetic drugs. These drugs can interfere with the vitamin’s absorption, altering its therapeutic effect. Since vitamin B-12 is higher in animal sources compared to plant sources, strict vegans may require vitamin B-12 supplements to prevent deficiencies. 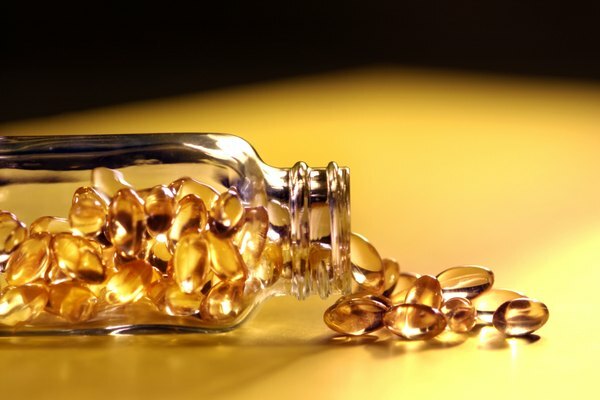 Are Fish Oils the Same As Vitamin E?